View our range of high-quality children’s mannequins. 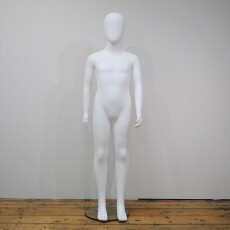 These headless mannequins are available from ages 4 to 12 with varying height from 88cm to 125cm. These are available in skin-tone and come in a matt finish. Please call us on 0161 834 8943 to order any mannequin not displayed above.